Cambridge Proficiency Masterclass. Student’s Book. Teacher's Pack. Level: Advanced (C2). 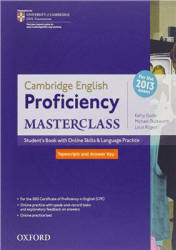 This fully-updated and revised edition of Proficiency Masterclass provides material which gives prospective candidates appropriate preparation and practice for the 2013 Cambridge English: Proficiency (CPE) exam. The material in this course also provides opportunities for candidates to develop their English on a broader level for success in the real world beyond the exam. 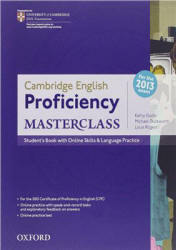 This fully-updated and revised edition of Proficiency Masterclass provides material which gives prospective candidates appropriate preparation and practice for the 2013 Cambridge English: Proficiency (CPE) exam. The material in this course also provides opportunities for candidates to develop their English on a broader level for success in the real world beyond the exam. The units in this Student's Book contain practice of exam-type tasks for all the parts of each paper in the exam. High-level vocabulary and grammar are developed throughout the course. The grammar syllabus is supported by a Grammar notes section (page 149) written by linguist George Yule. The Review section (page 166) contains exercises that review and consolidate the language covered in the main units. • *feedback on your answers. The access code for your Online Skills and Language Practice also gives access to a full online practice test. 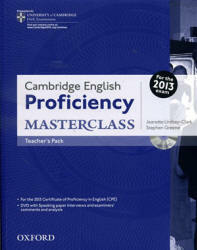 We hope you enjoy using Proficiency Masterclass to help you to prepare for the Cambridge English: Proficiency exam.